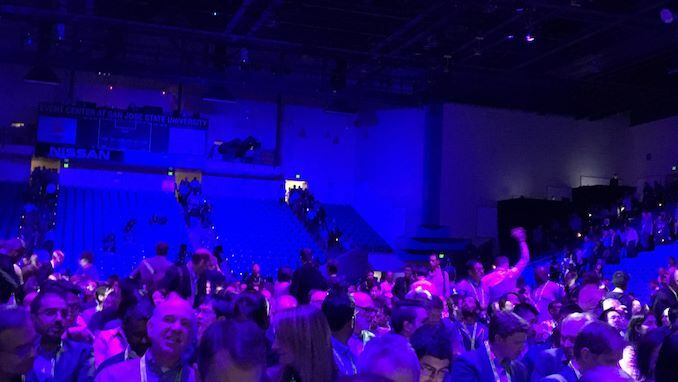 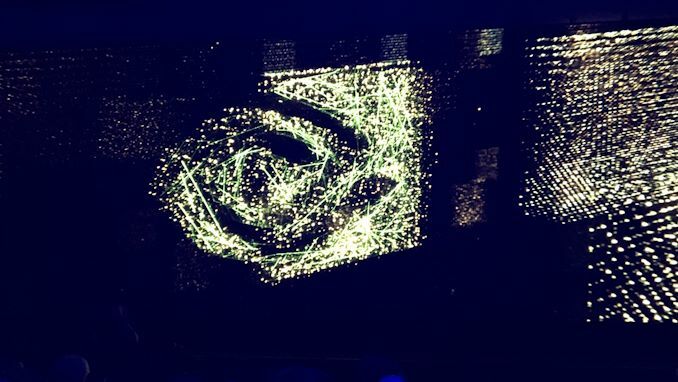 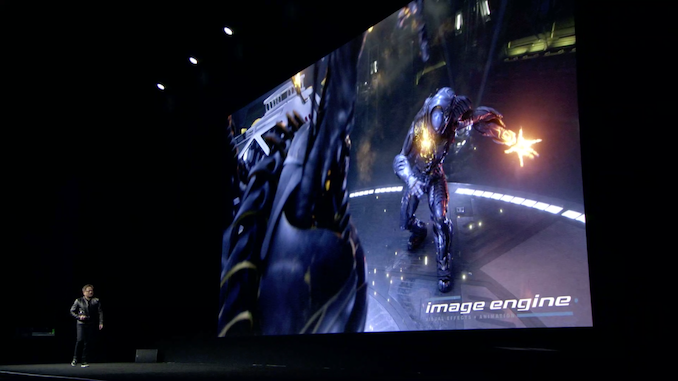 04:43PM EDT - Kicking off a very busy week for tech events in California, my first stop for the week is NVIDIA's annual GPU Technology Conference in San Jose. 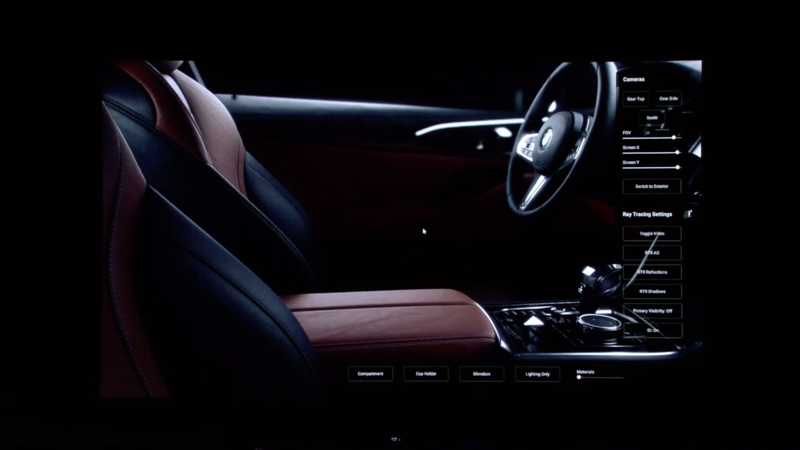 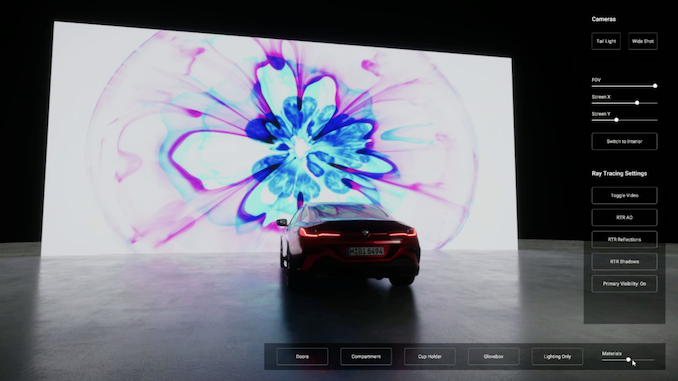 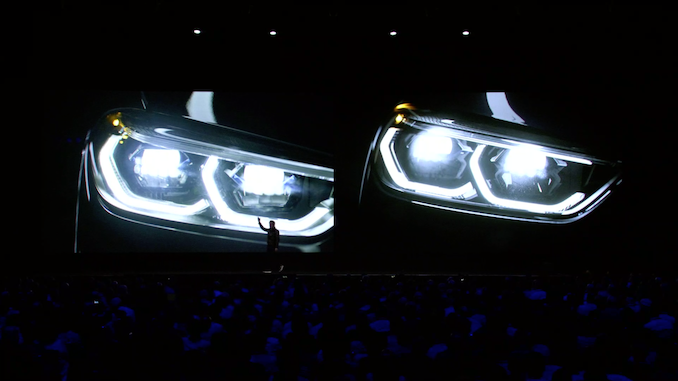 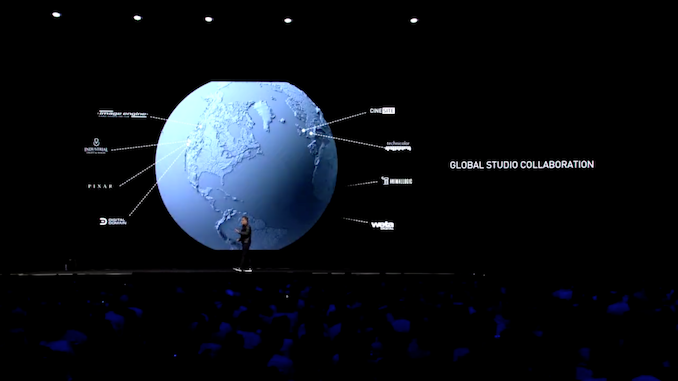 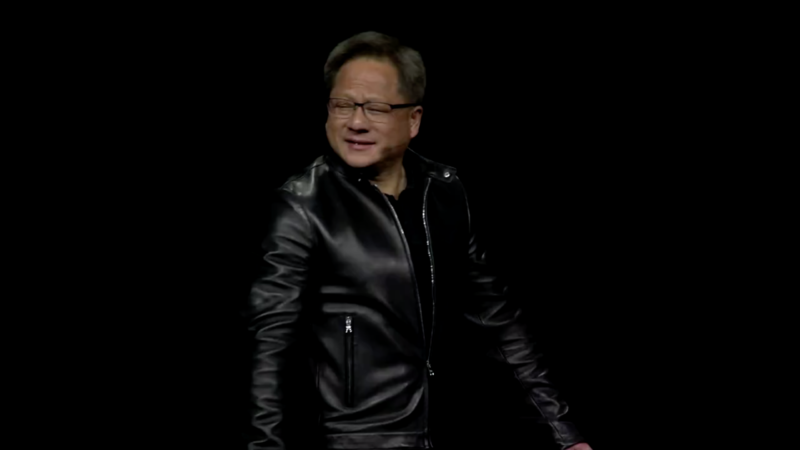 04:44PM EDT - As always, CEO Jensen Huang will be kicking off the show proper with a 2 hour keynote, no doubt making some new product announcements and setting the pace for the company for the next year. 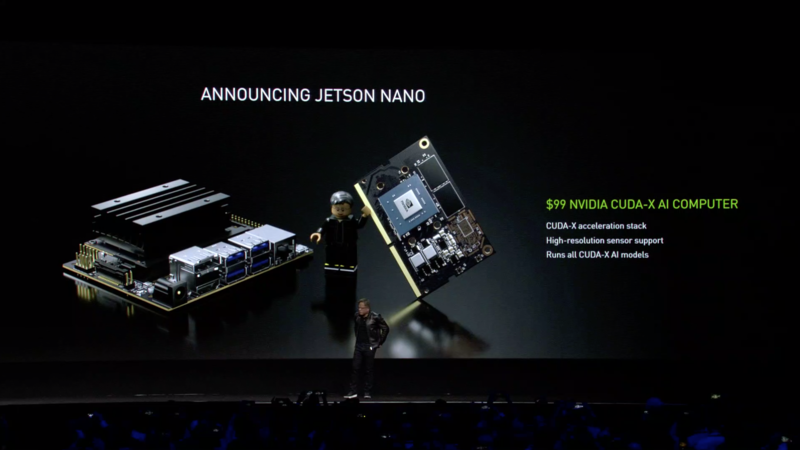 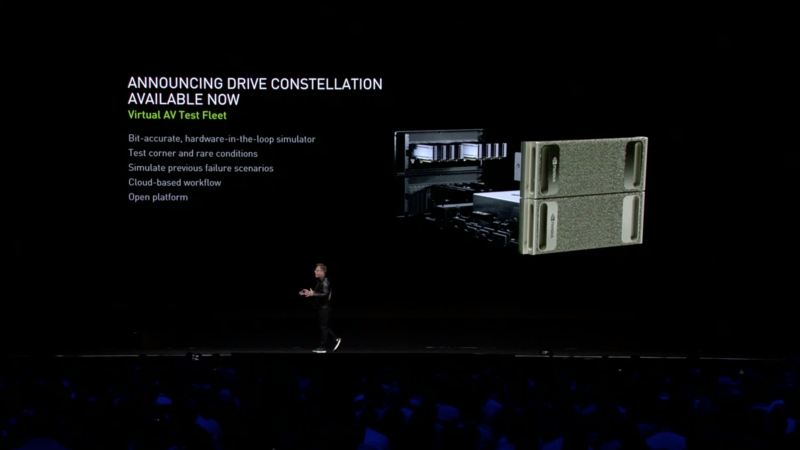 04:44PM EDT - The biggest question that's no doubt on everyone's minds being what NVIDIA plans to do for 7nm, as that process node is quickly maturing. 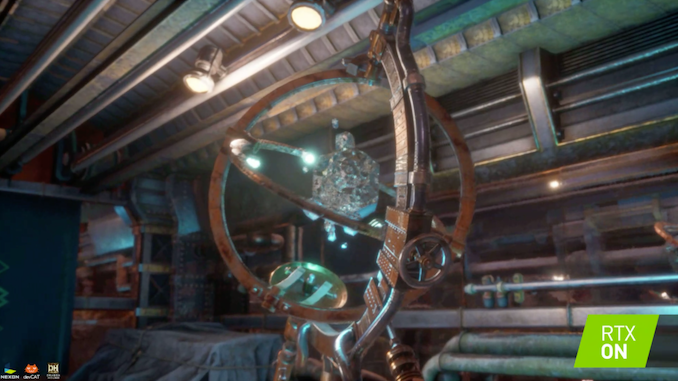 04:44PM EDT - Hopefully we'll find out the answer to that and more, so be sure to check-in at 2pm Pacific to see what's next for NVIDIA. 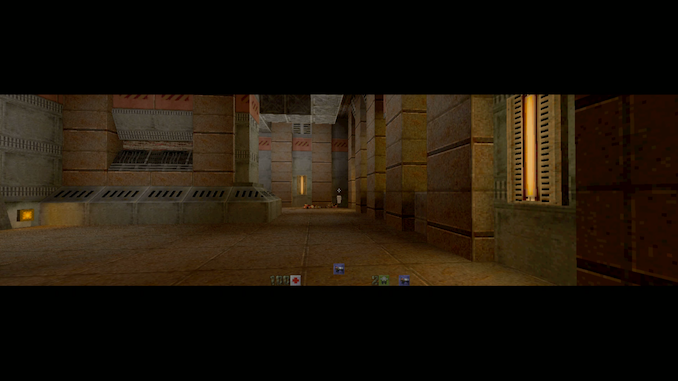 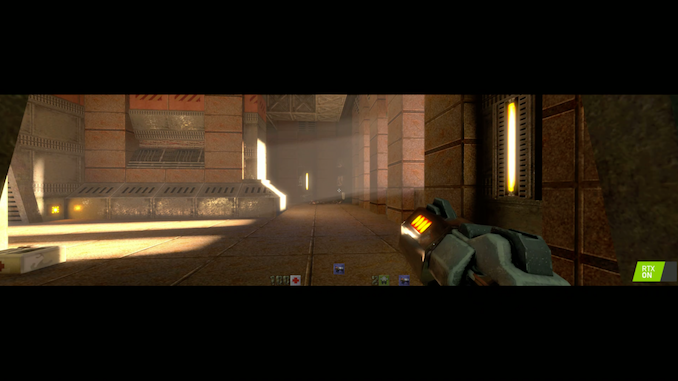 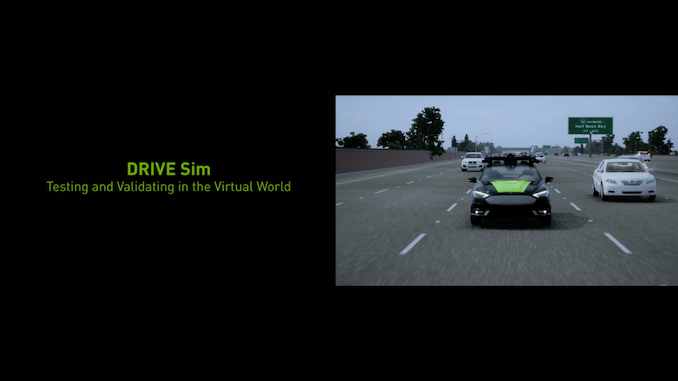 05:05PM EDT - Rolling a video. 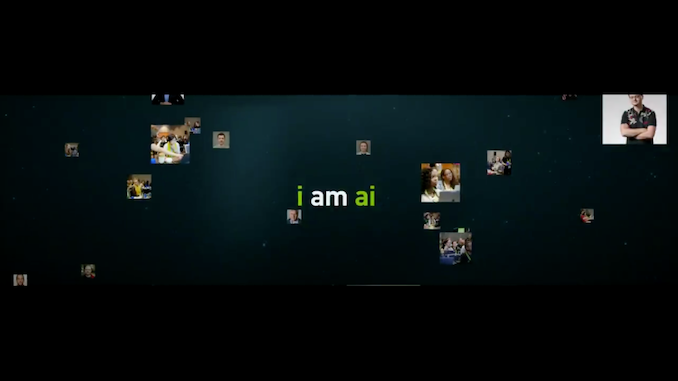 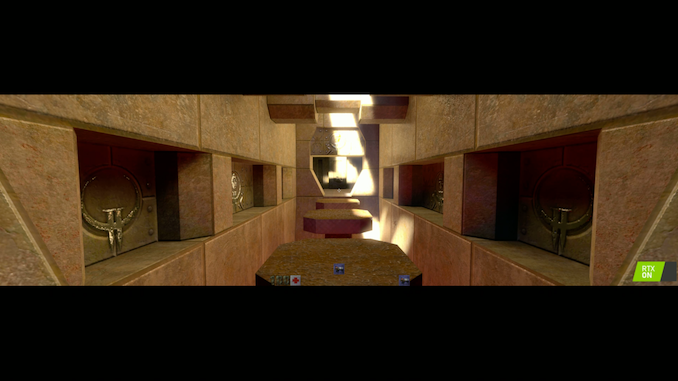 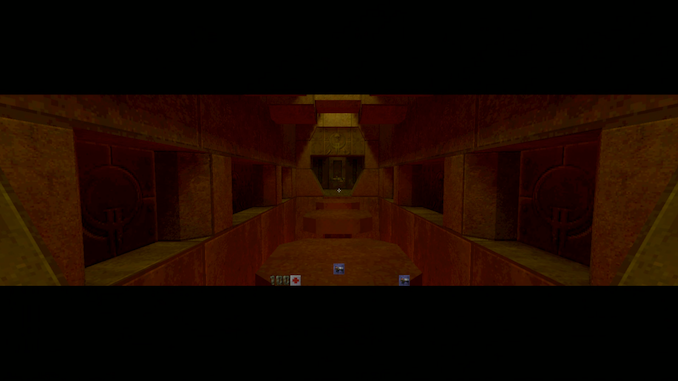 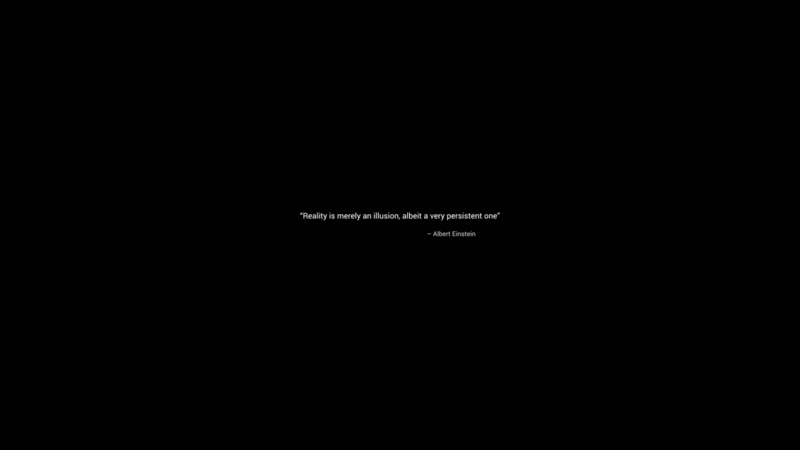 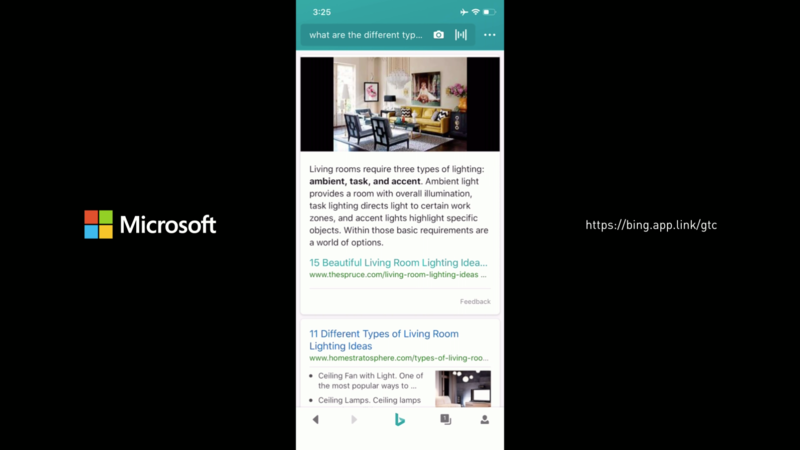 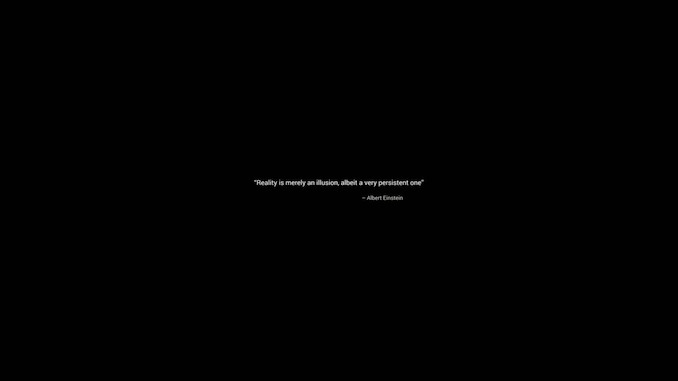 "I am AI"
05:07PM EDT - Also, I forgot to include my co-host for the afternoon. 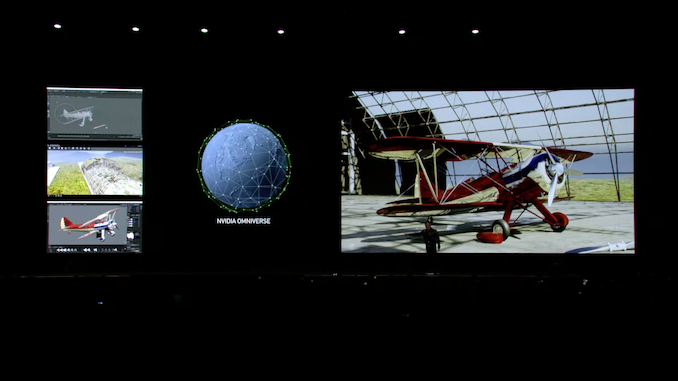 Billy Tallis is on photos. 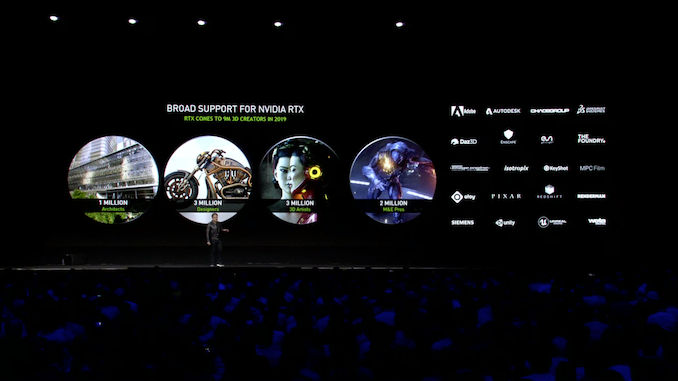 Thanks, Billy! 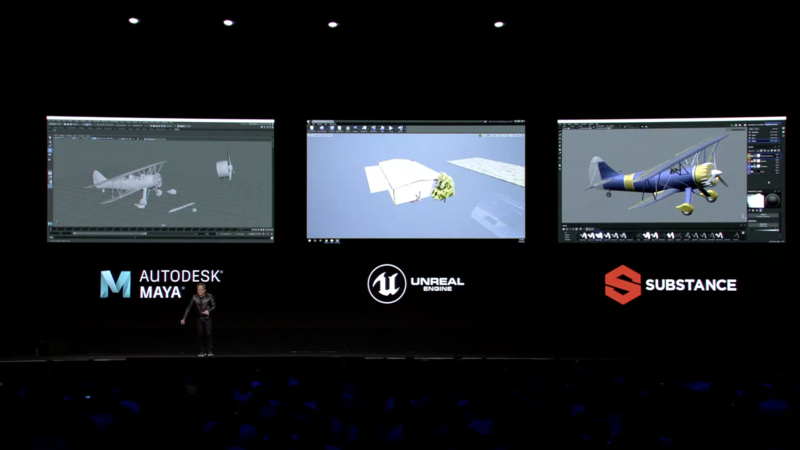 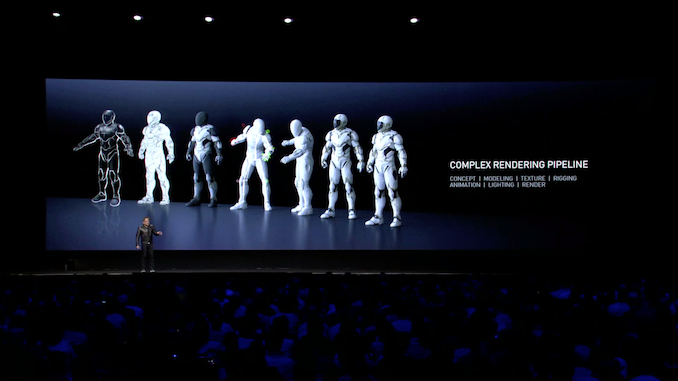 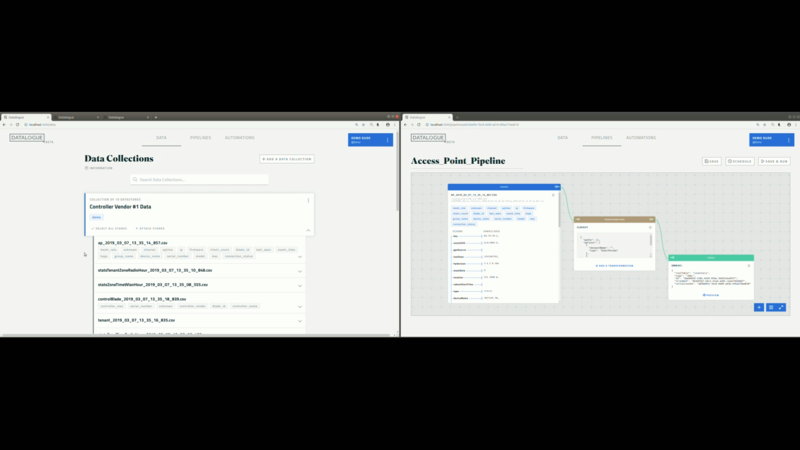 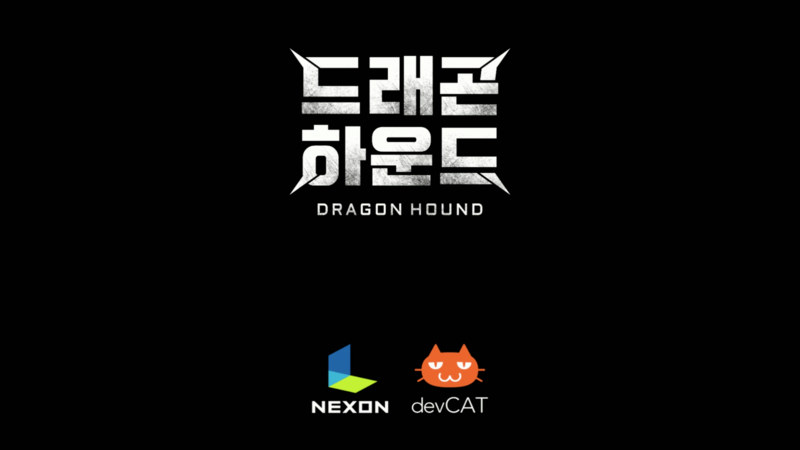 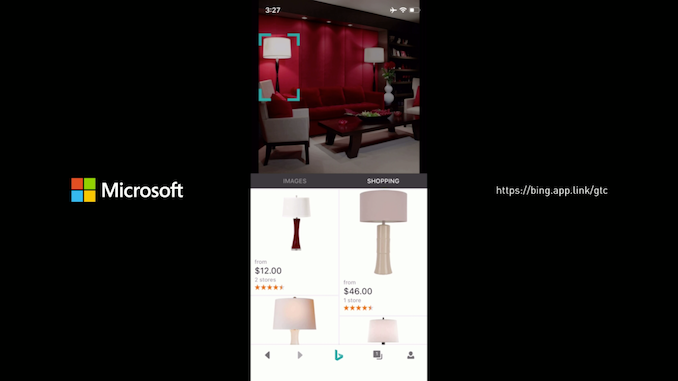 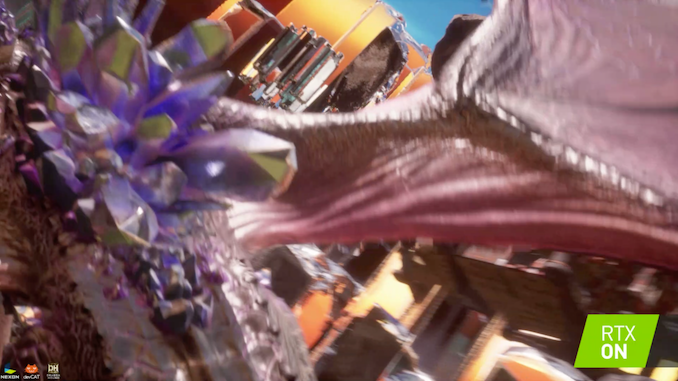 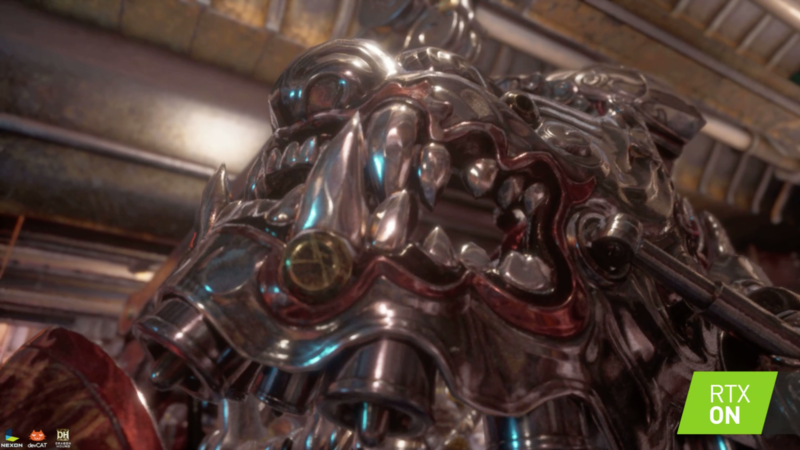 05:27PM EDT - "Render stuff"
05:31PM EDT - "This year we have more notebooks than ever"
05:33PM EDT - "Dragon Hound"
06:06PM EDT - "Data Science is the fasting growing field of Computer Science today"
06:16PM EDT - So a free speedup. 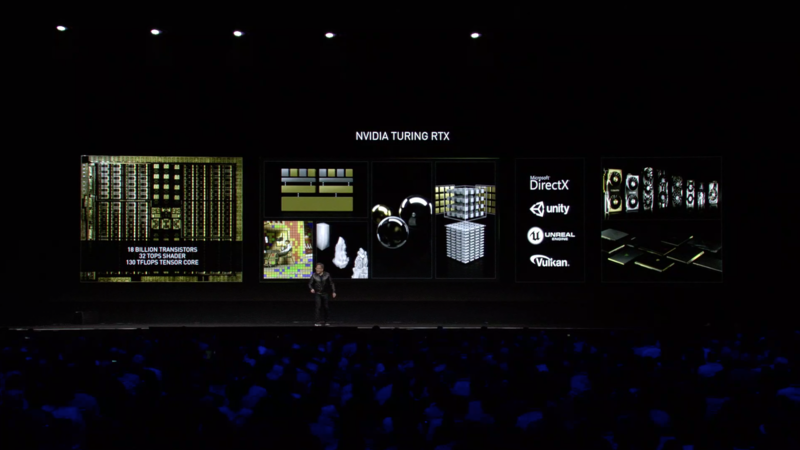 "You do nothing"
06:26PM EDT - "It's a very consistent experience"
06:32PM EDT - NVIDIA’s Clara is an open, scalable computing platform that enables developers to build and deploy medical imaging applications into hybrid (embedded, on-premise, or cloud) computing environments to create intelligent instruments and automated healthcare workflows. 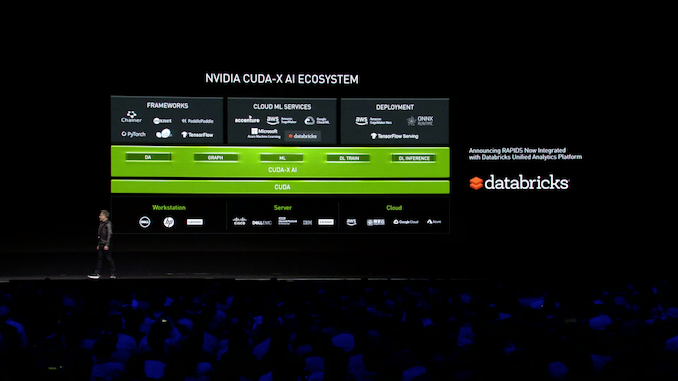 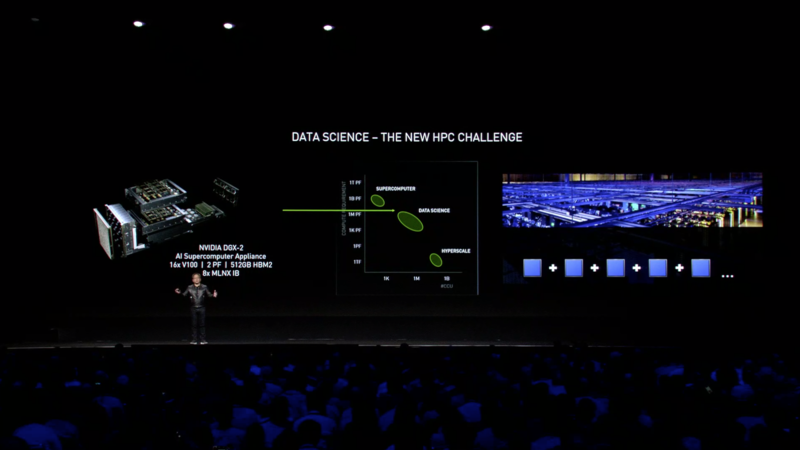 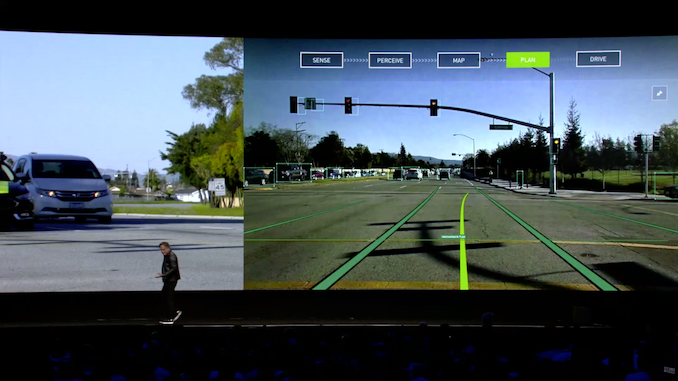 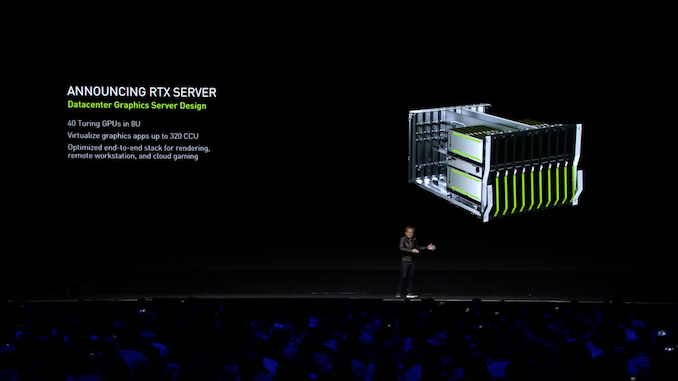 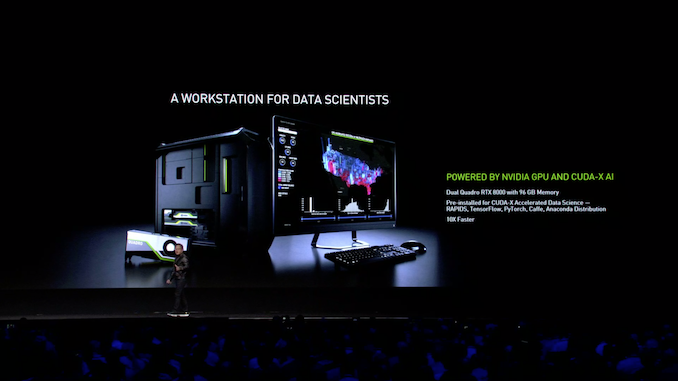 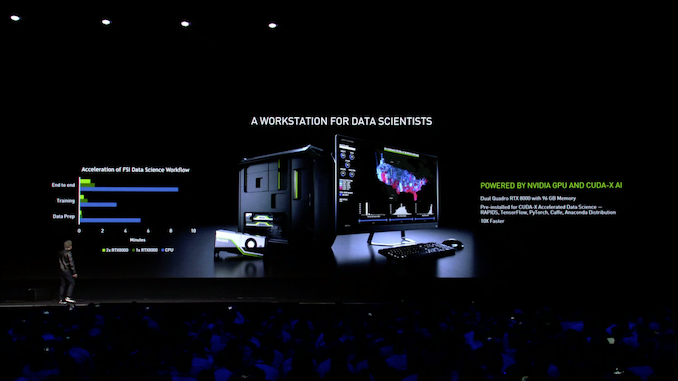 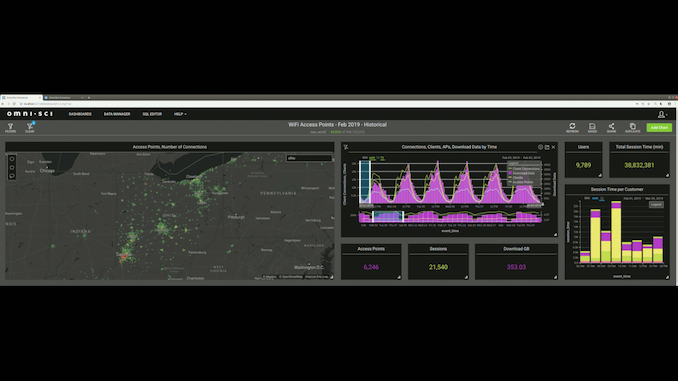 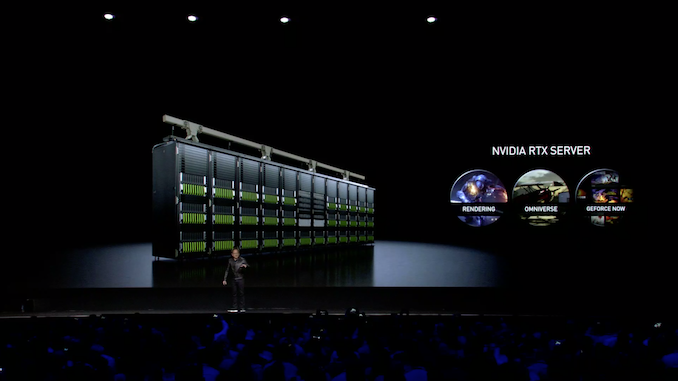 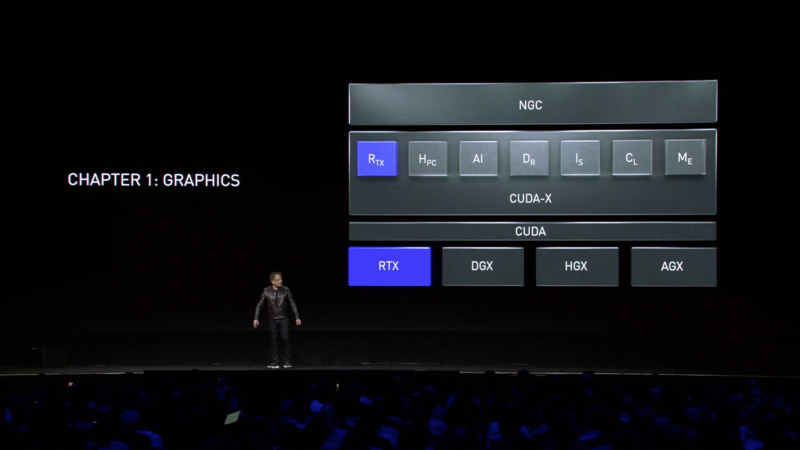 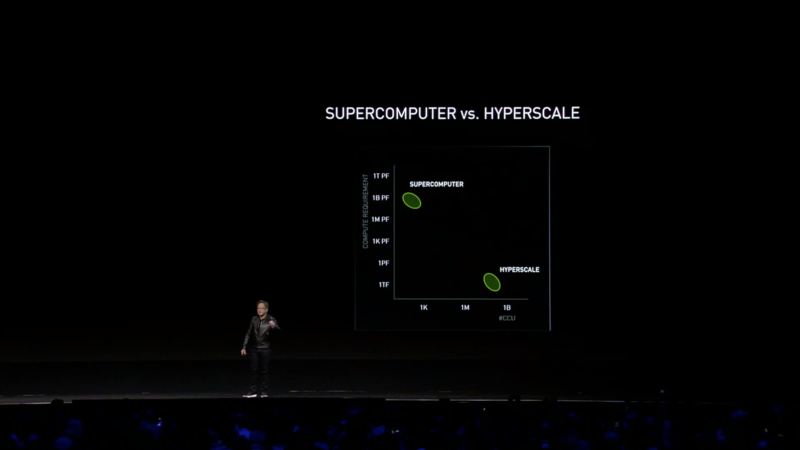 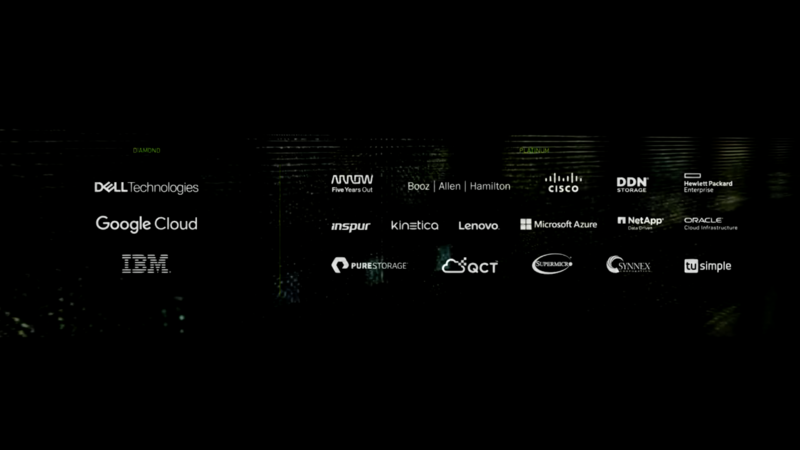 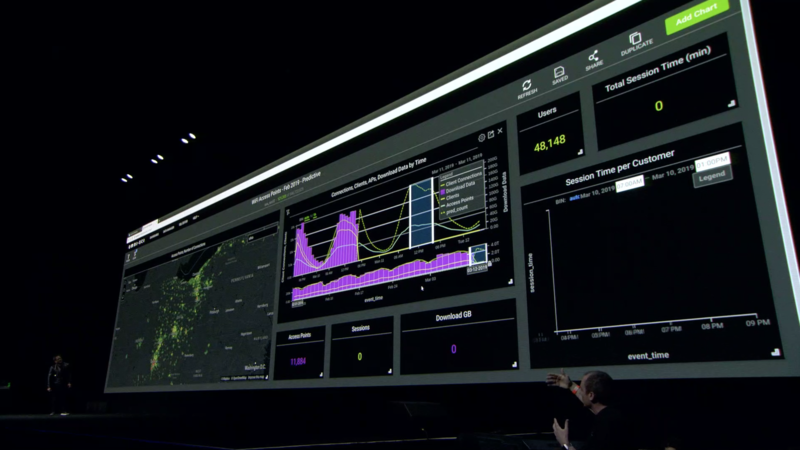 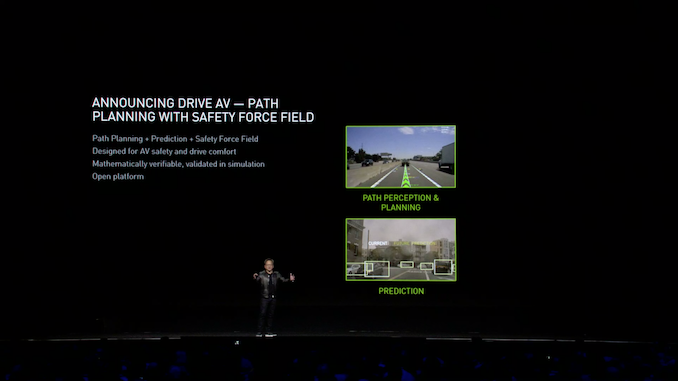 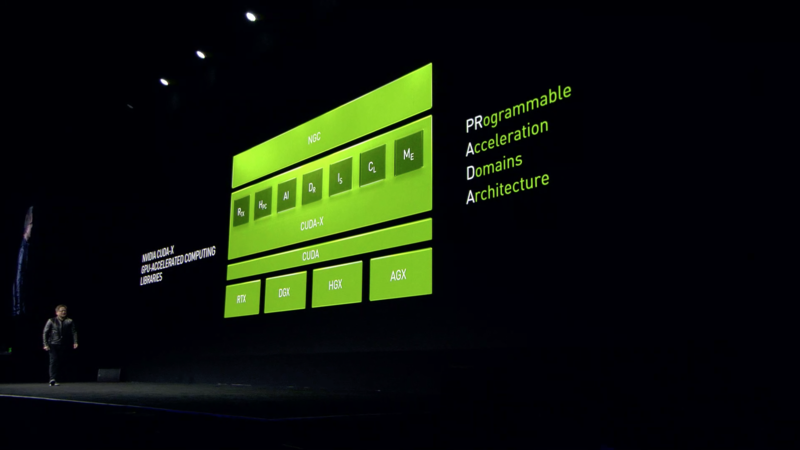 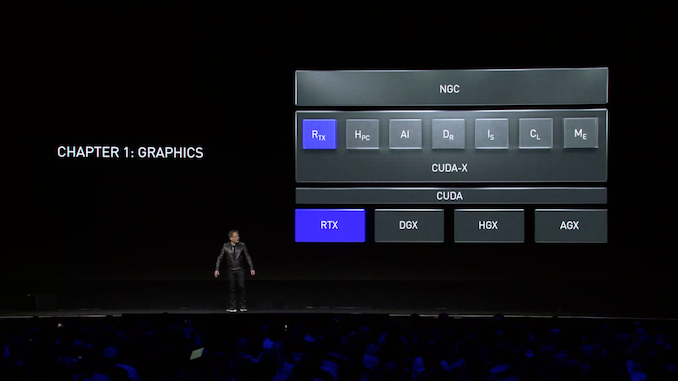 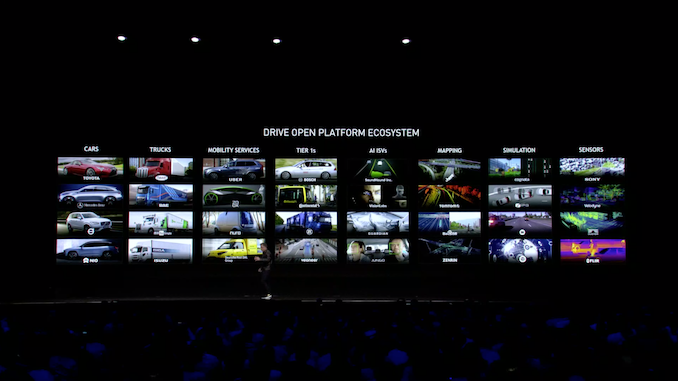 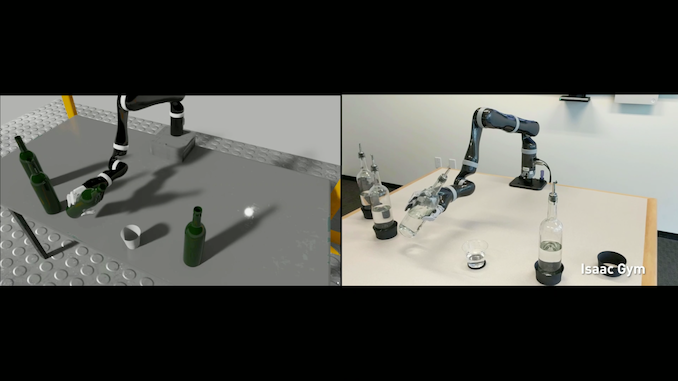 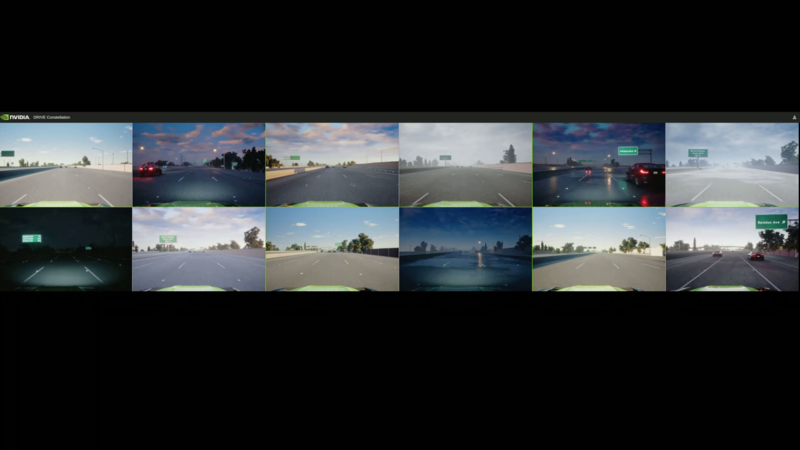 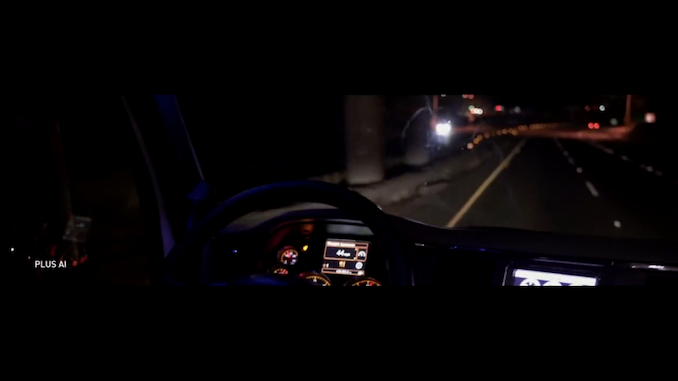 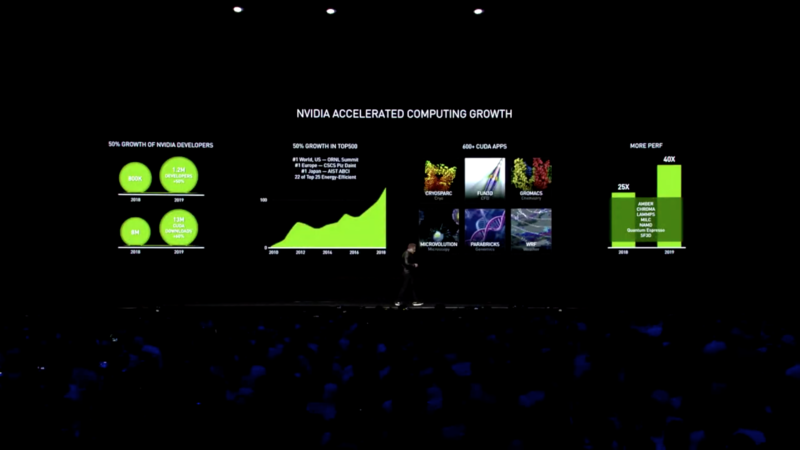 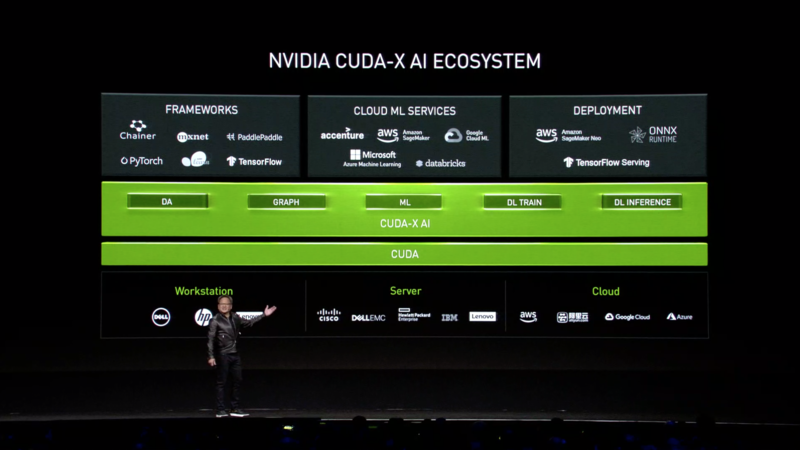 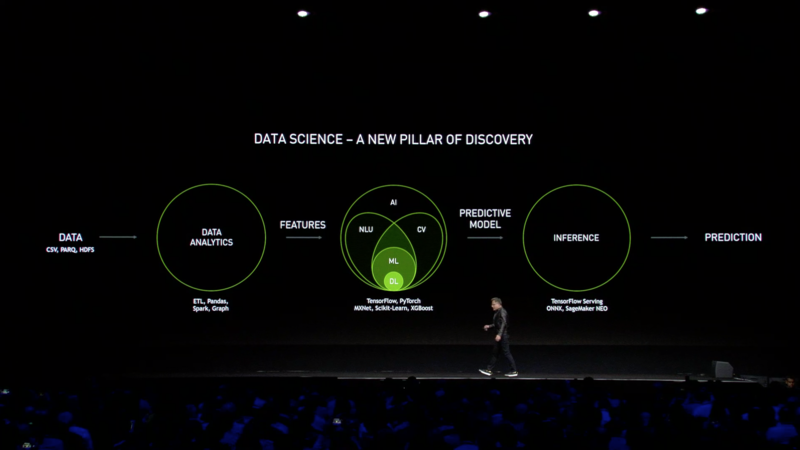 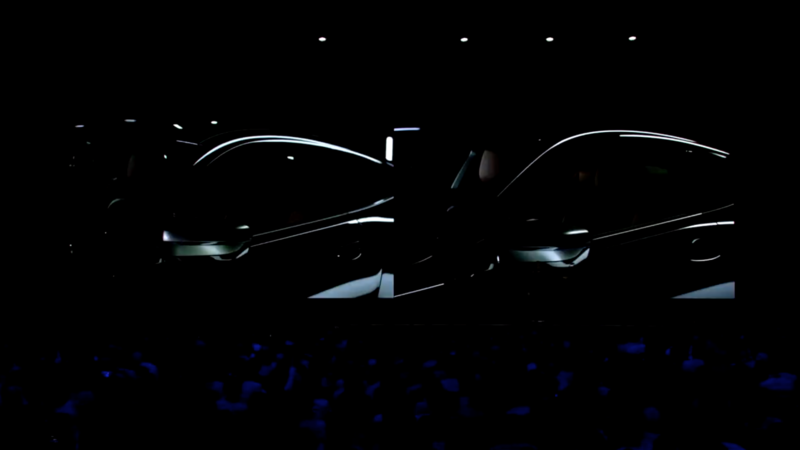 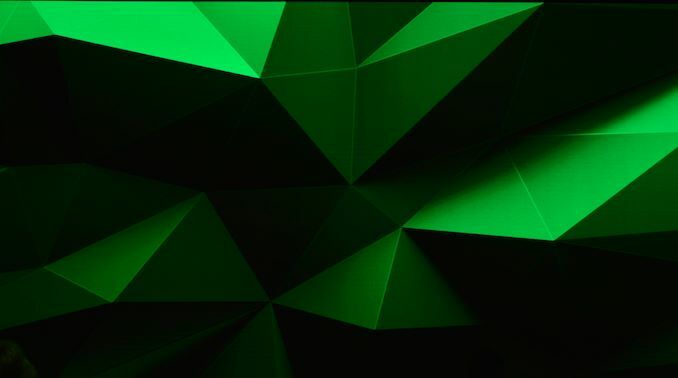 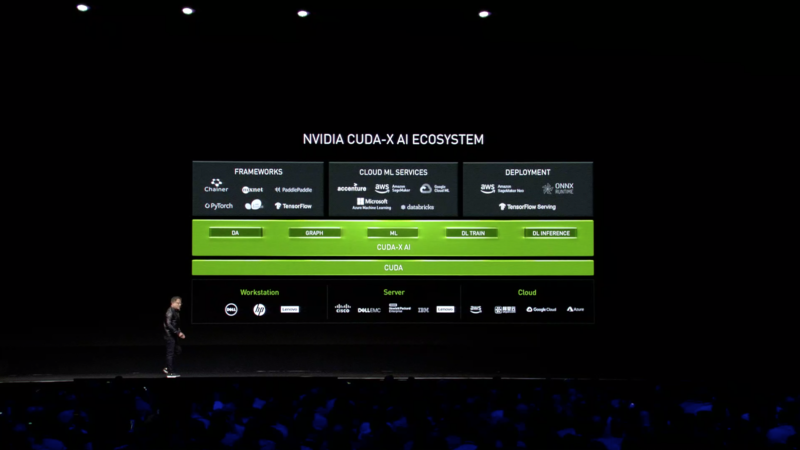 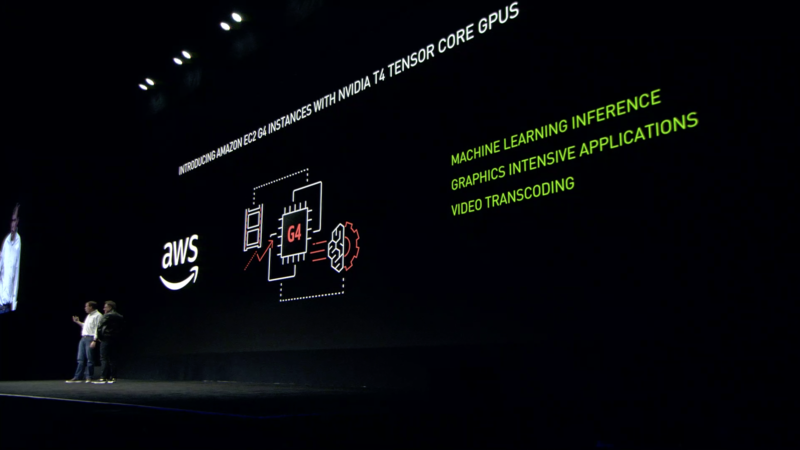 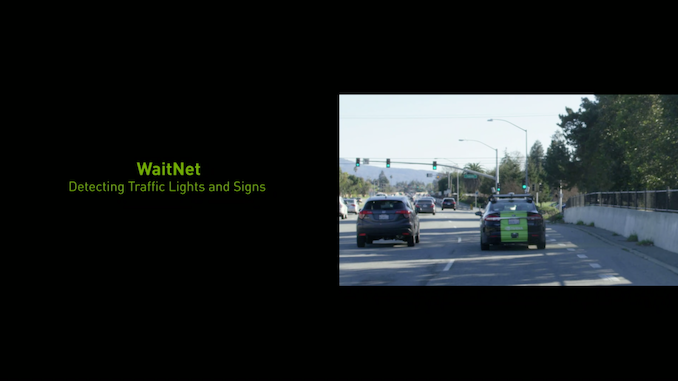 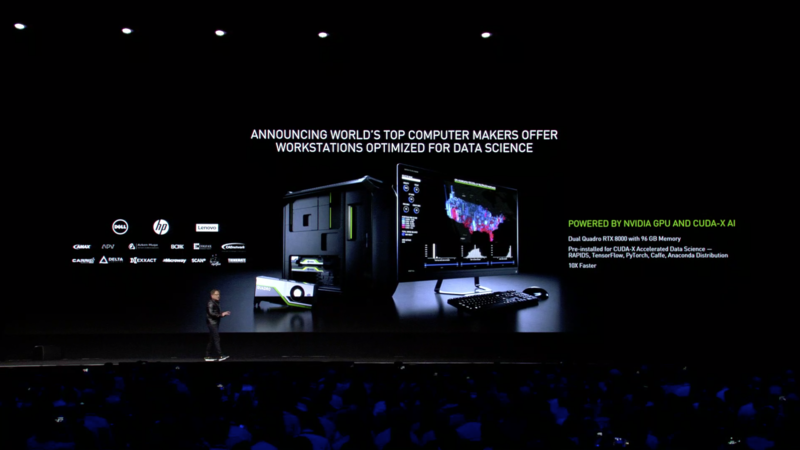 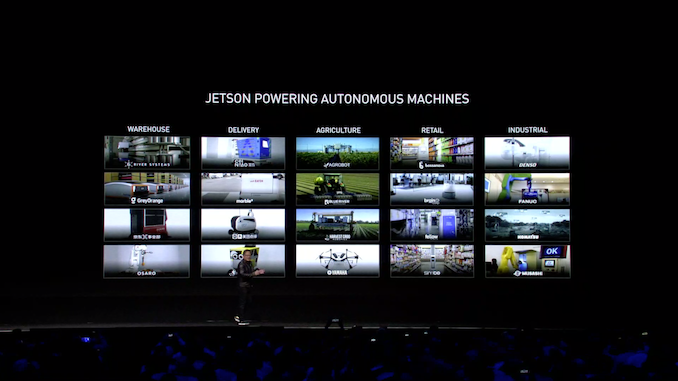 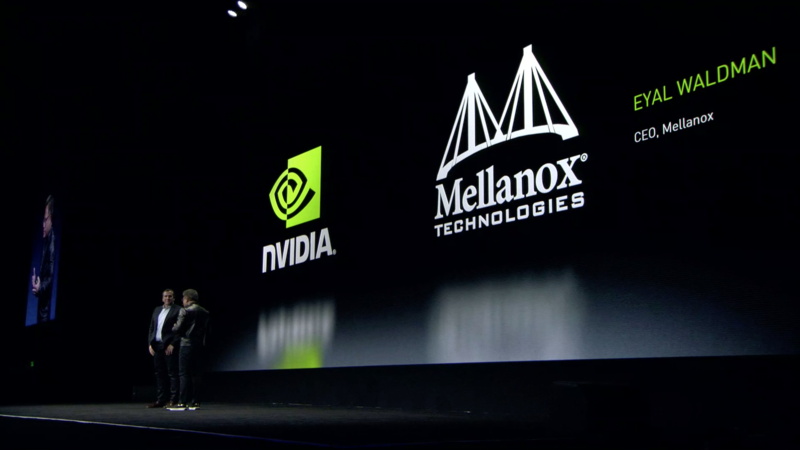 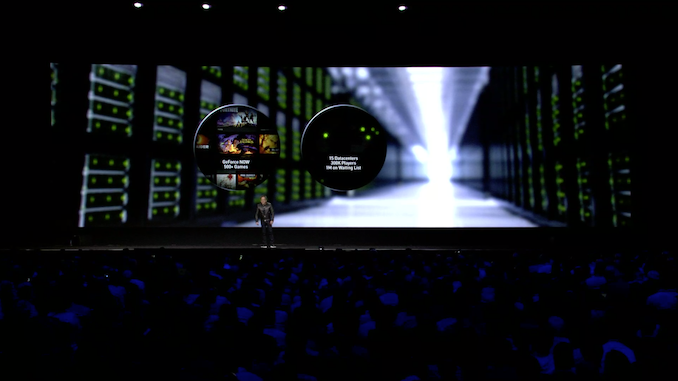 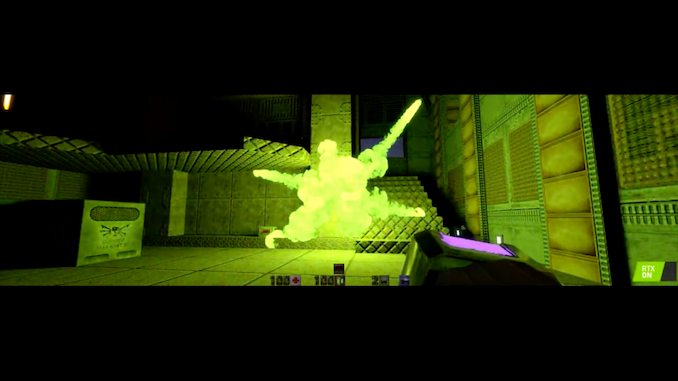 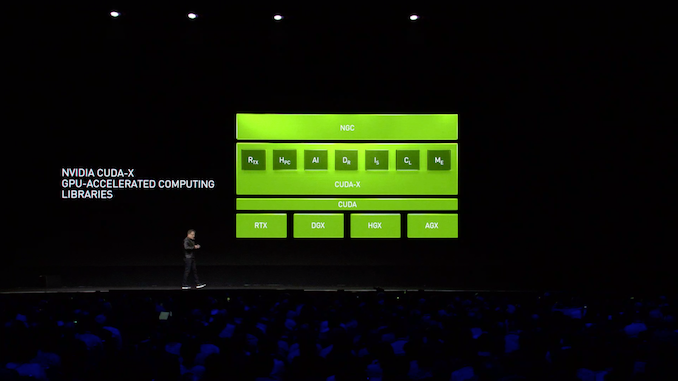 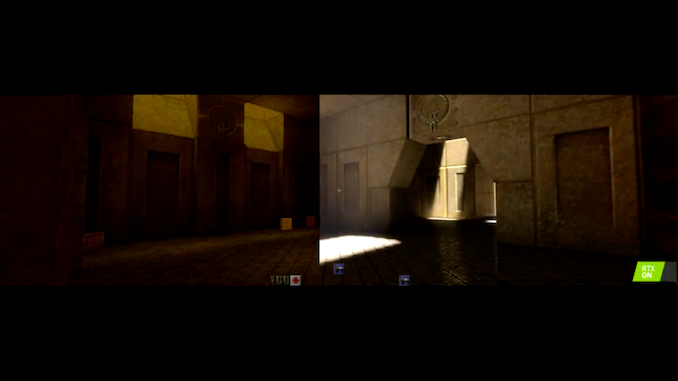 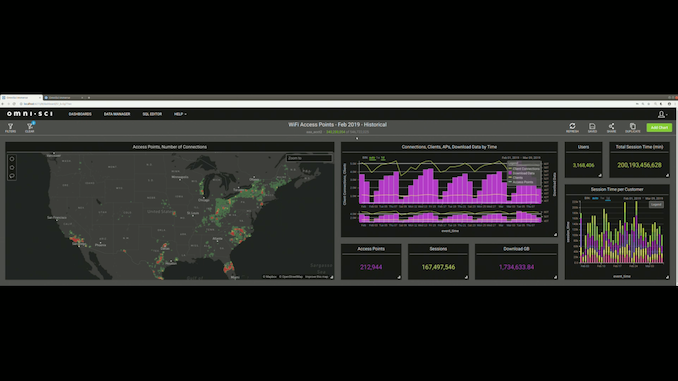 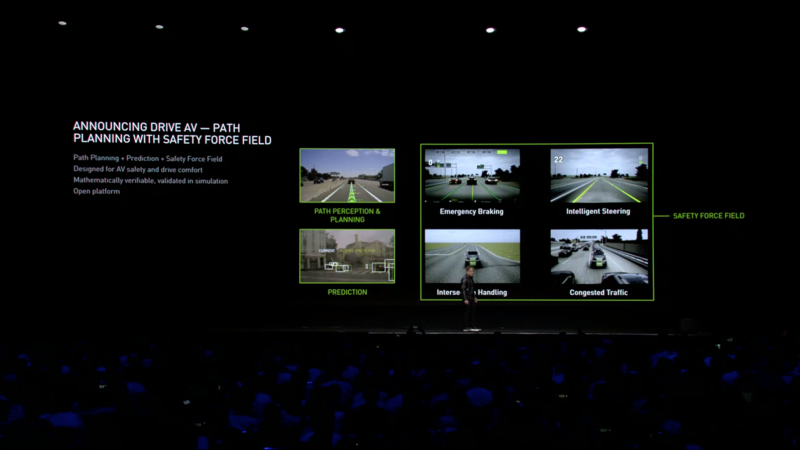 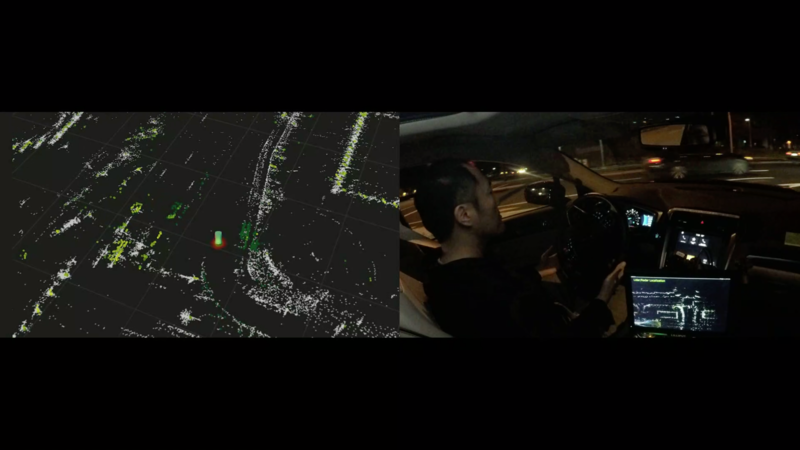 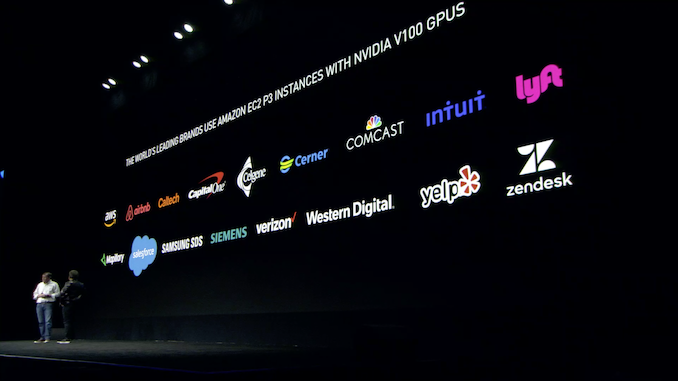 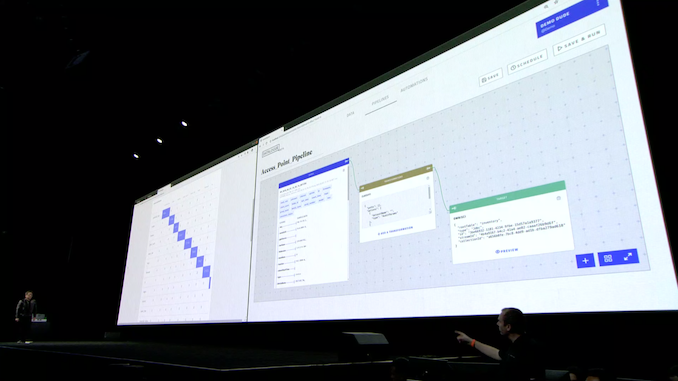 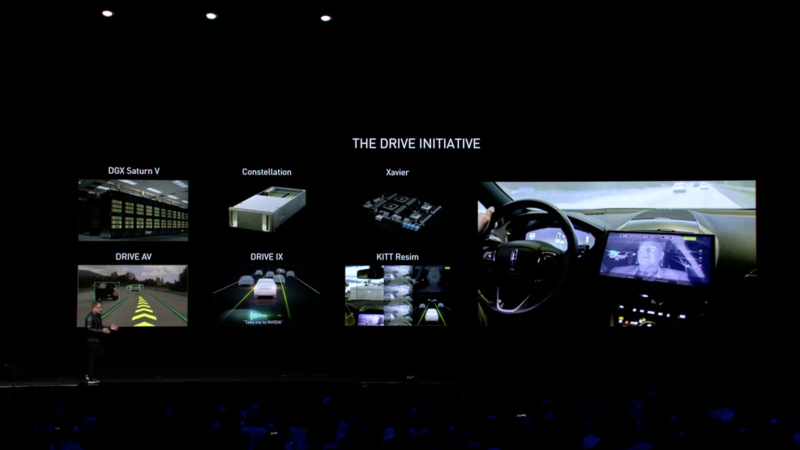 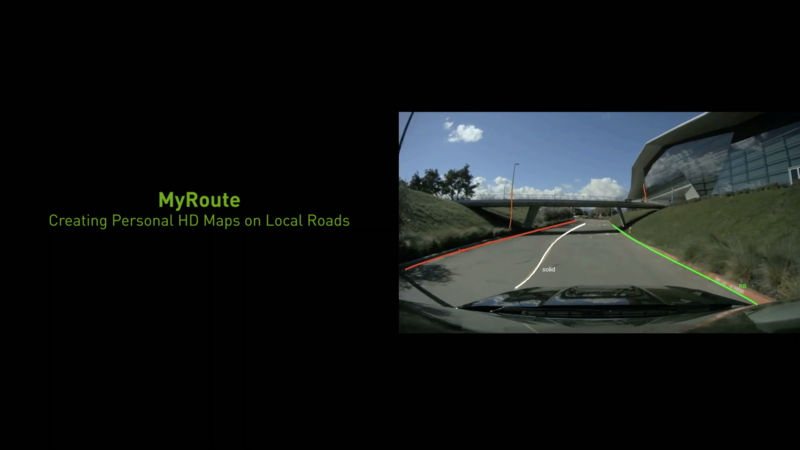 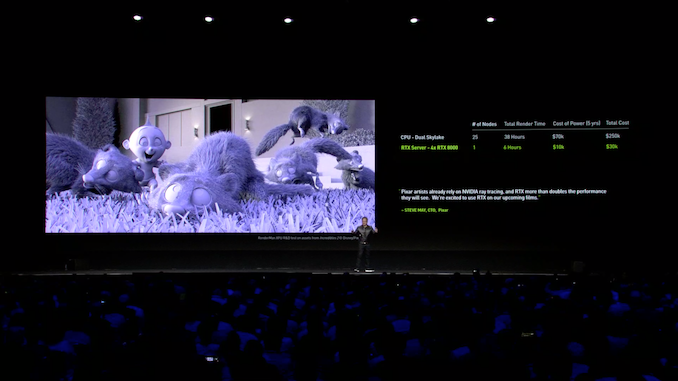 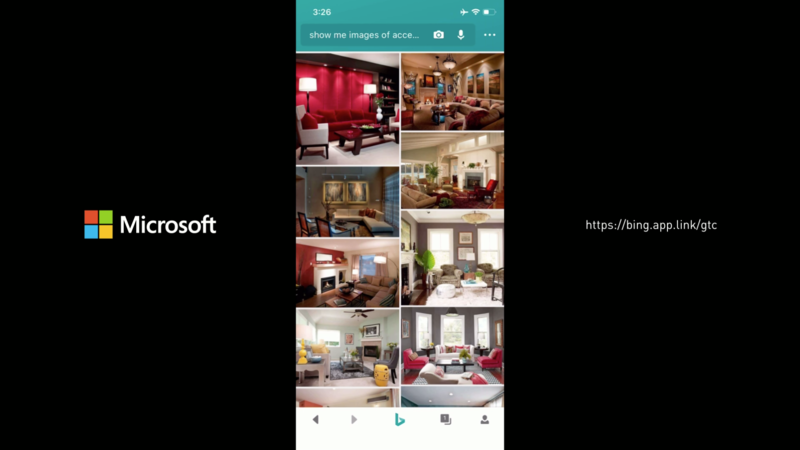 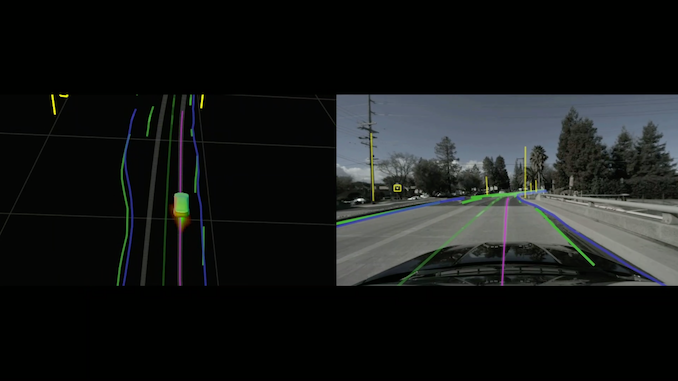 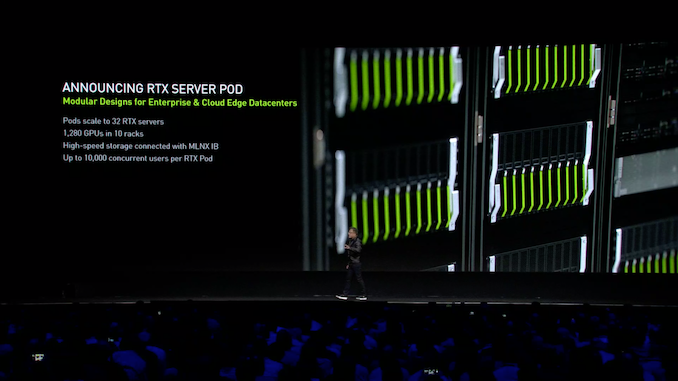 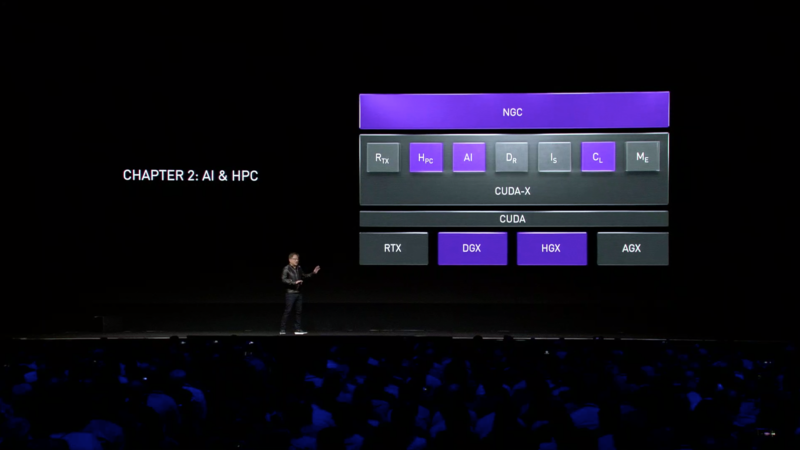 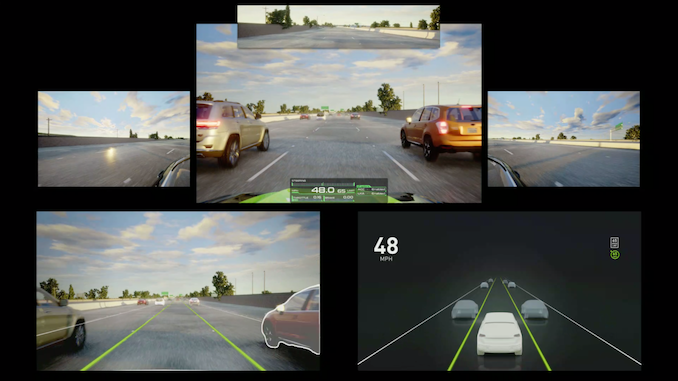 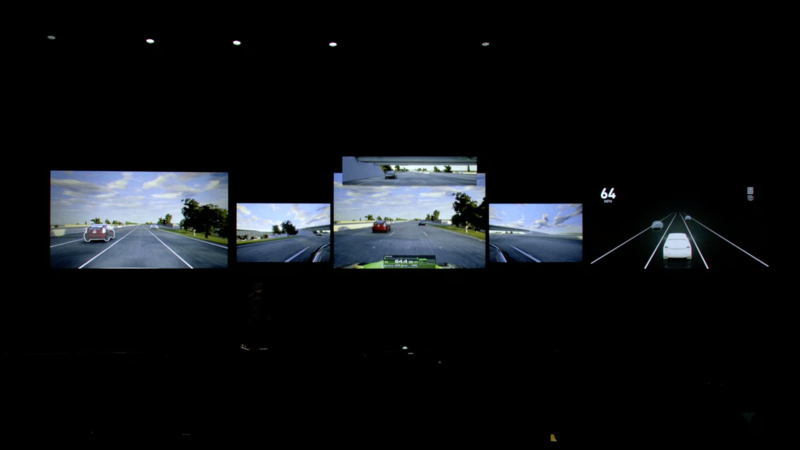 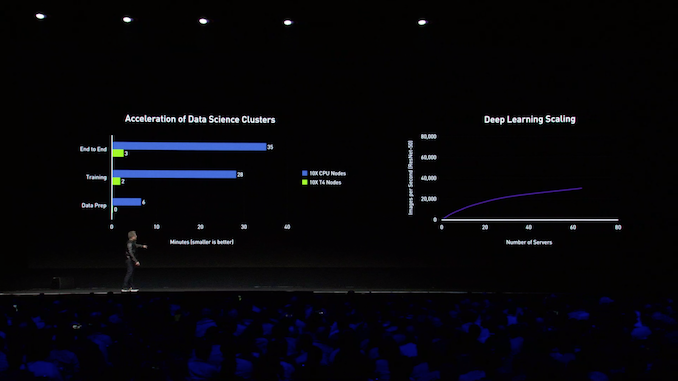 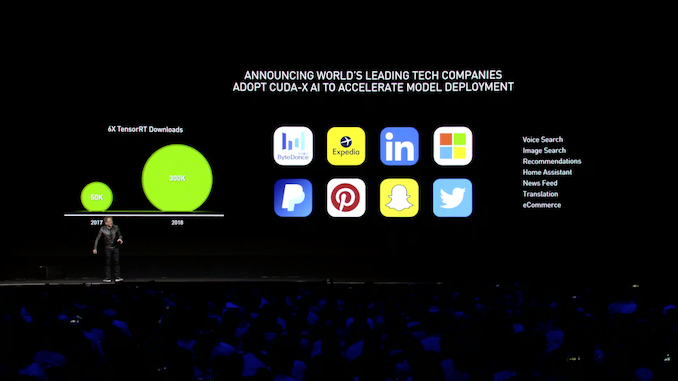 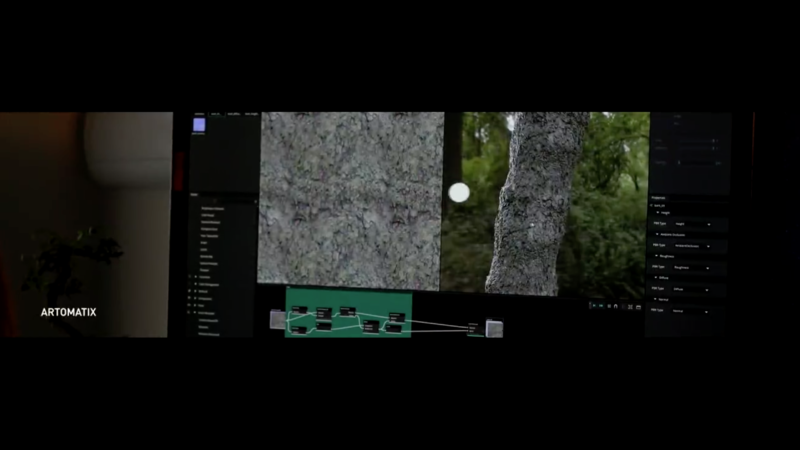 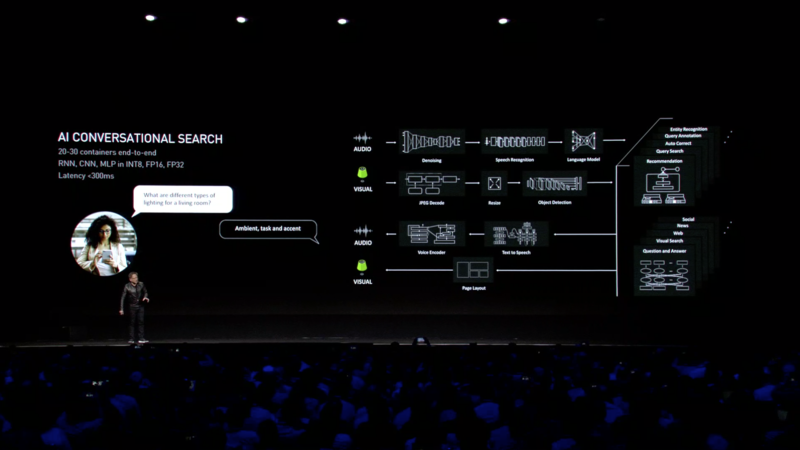 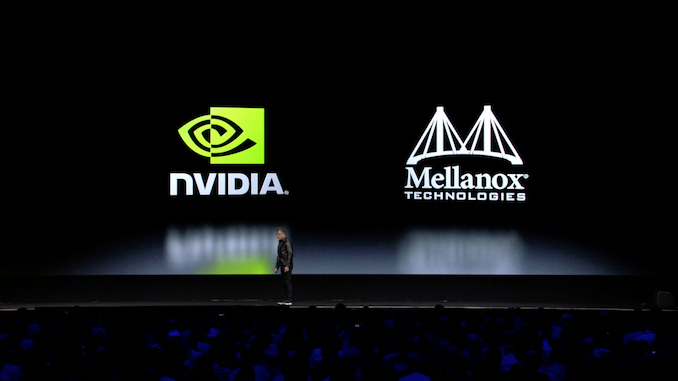 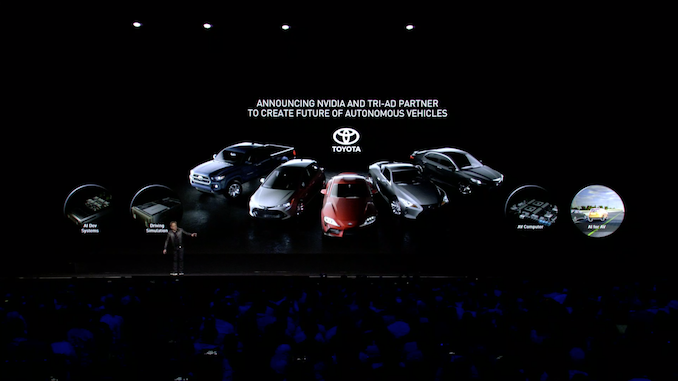 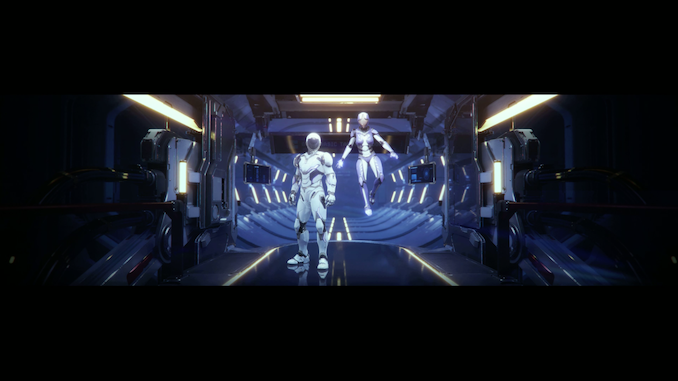 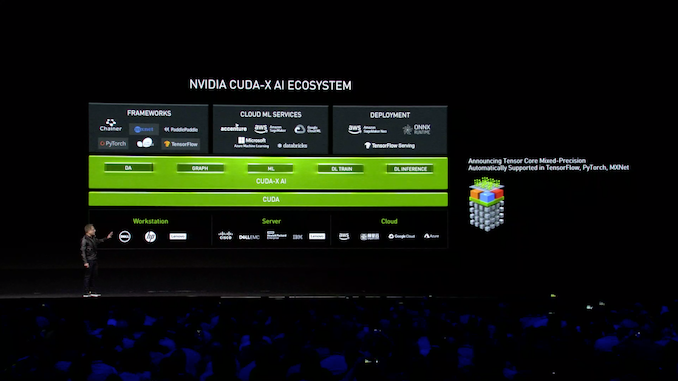 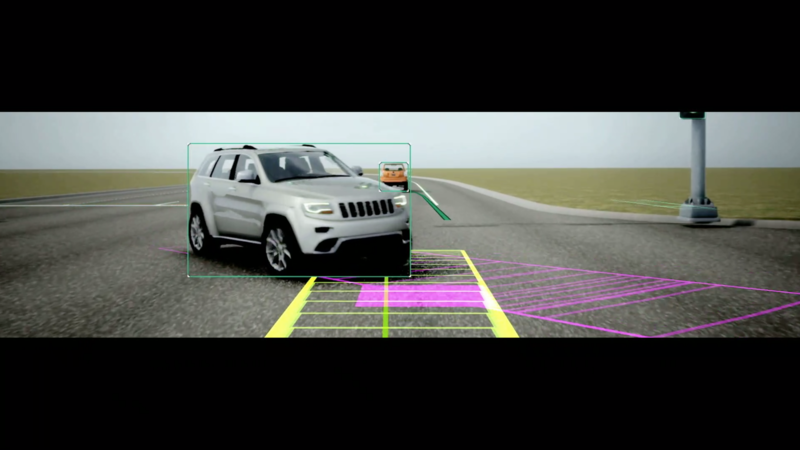 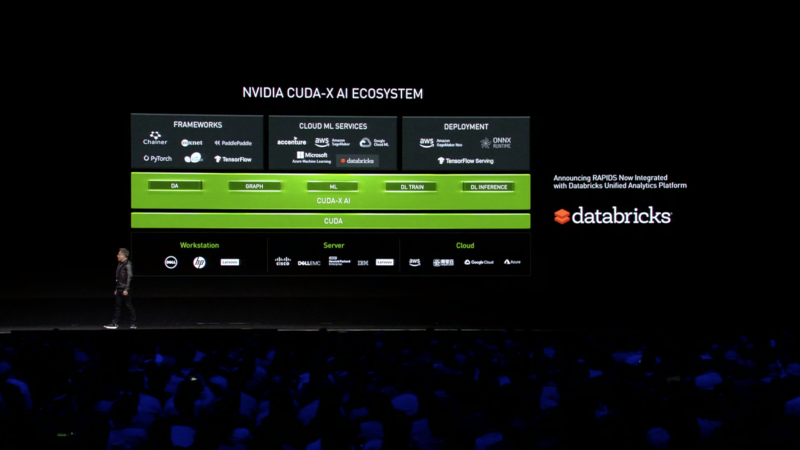 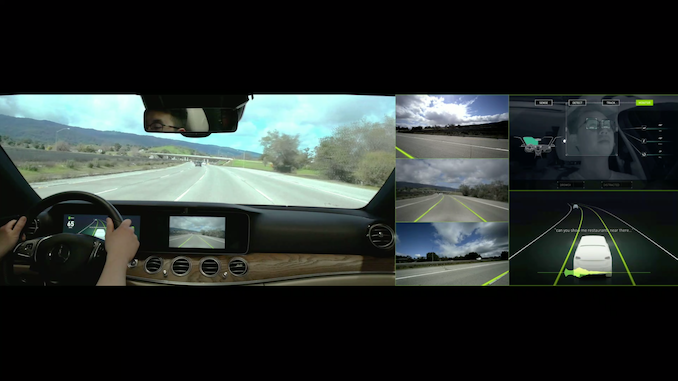 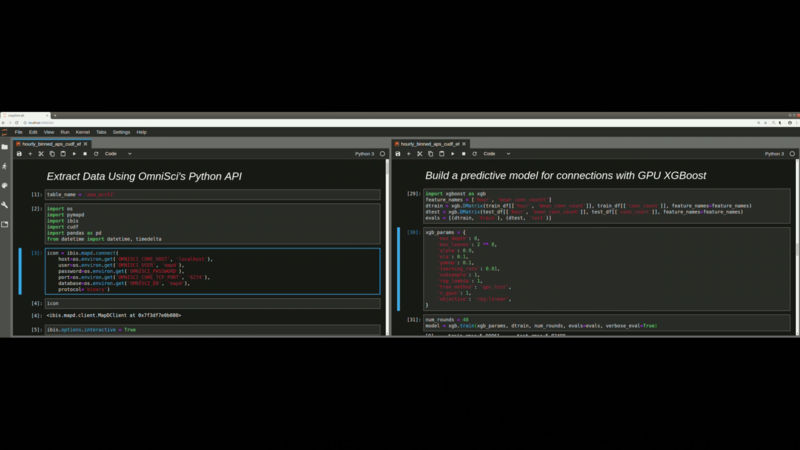 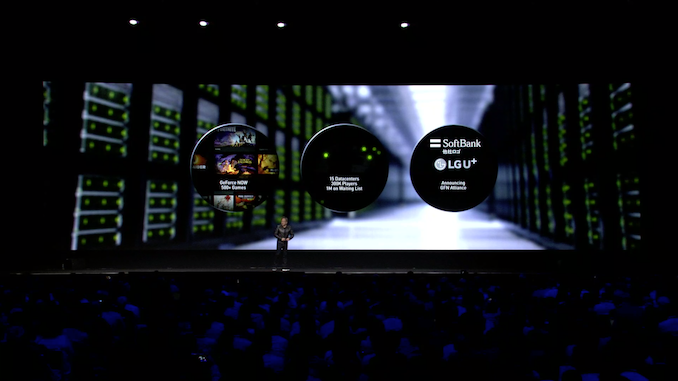 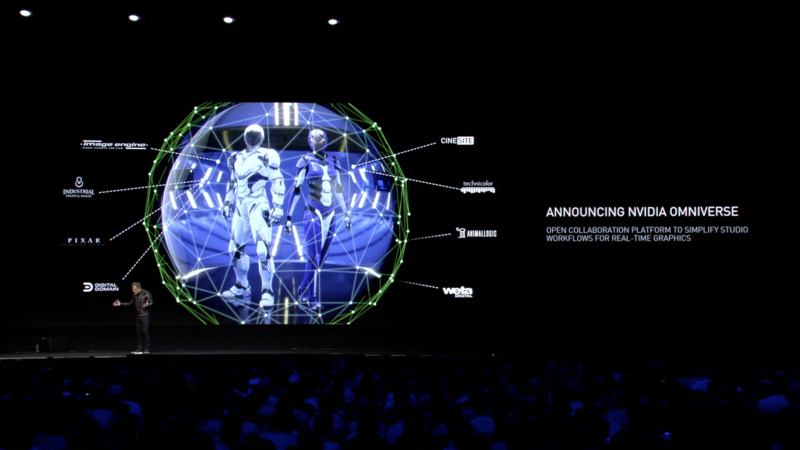 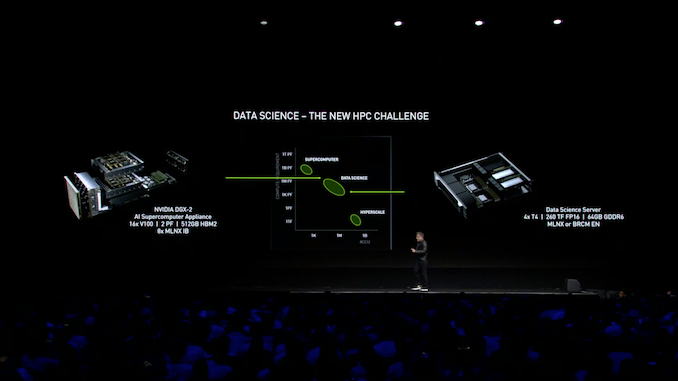 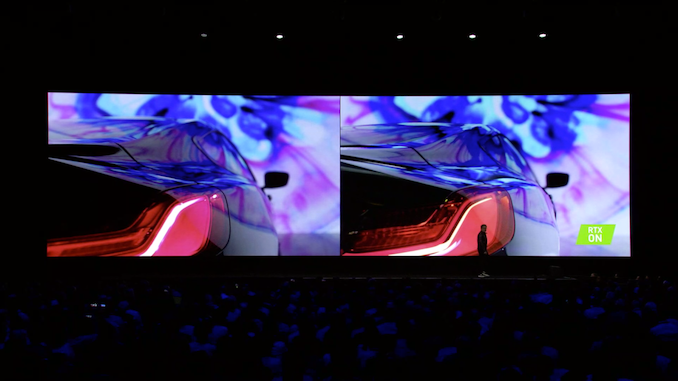 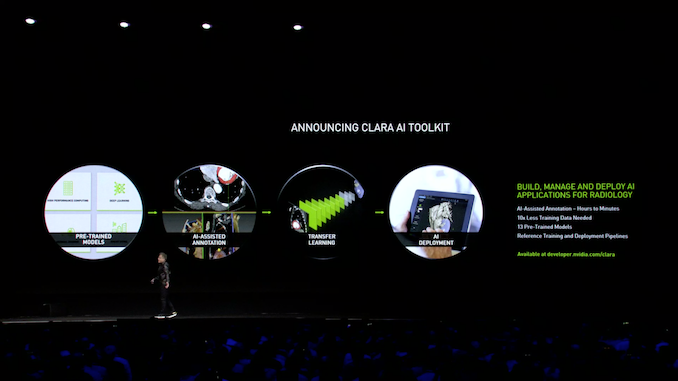 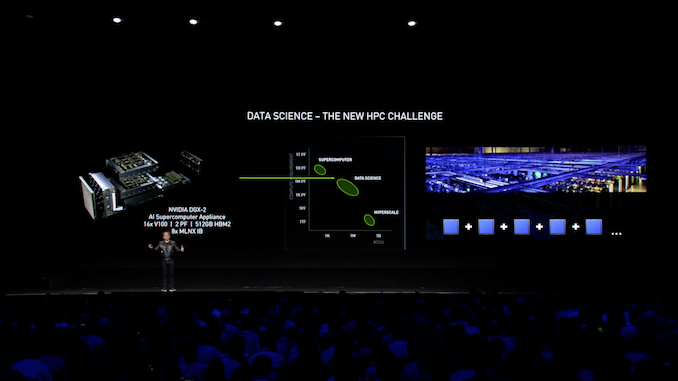 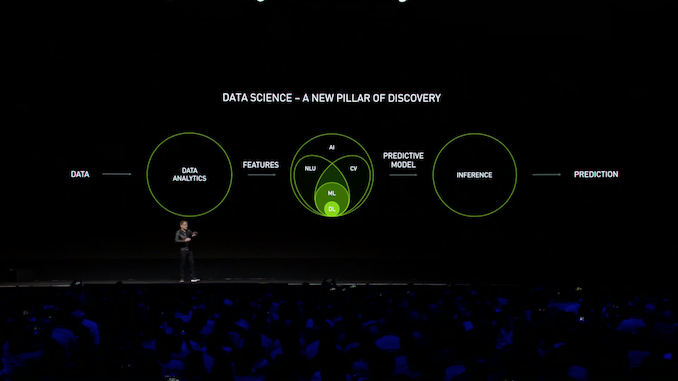 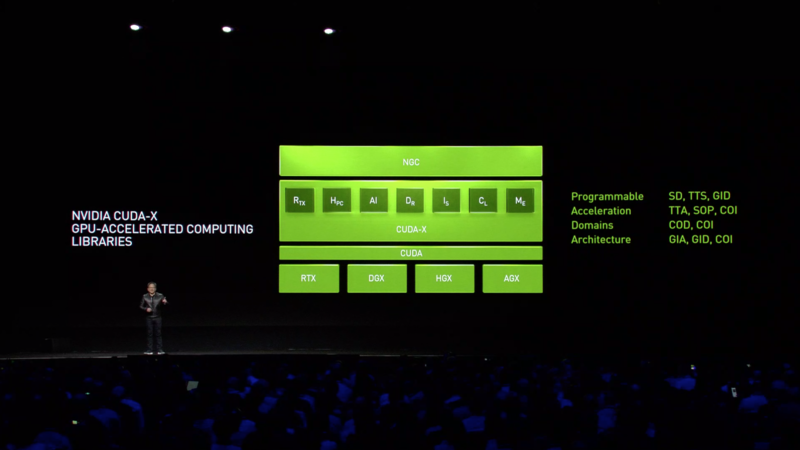 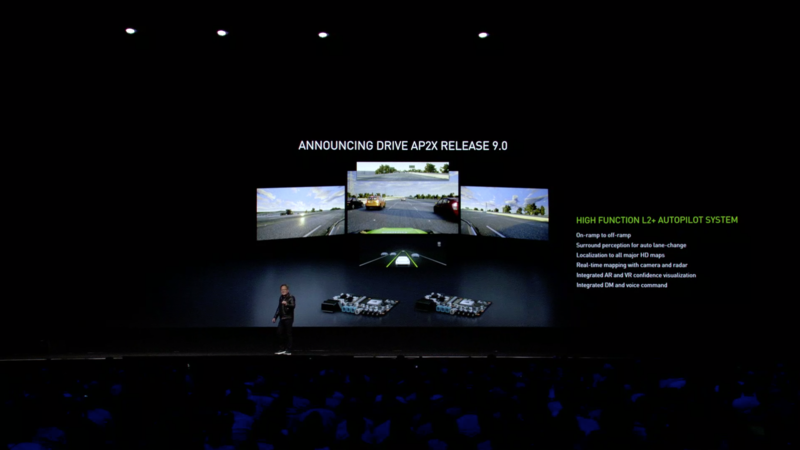 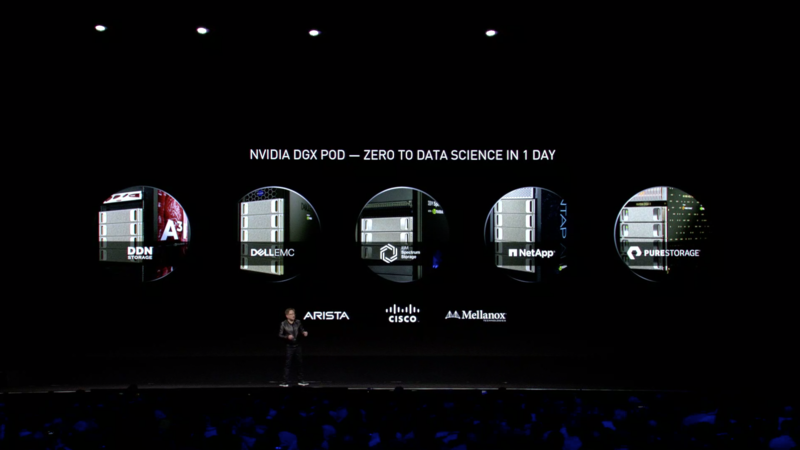 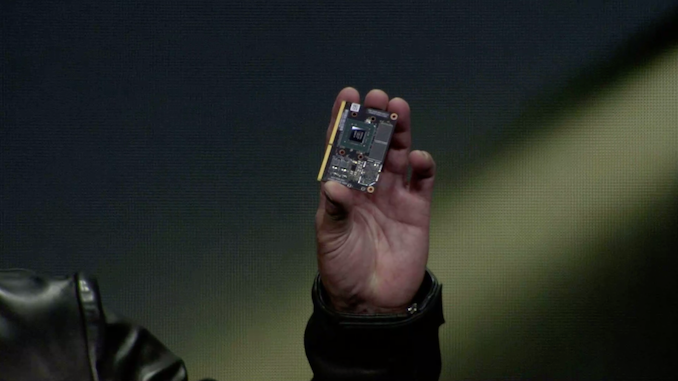 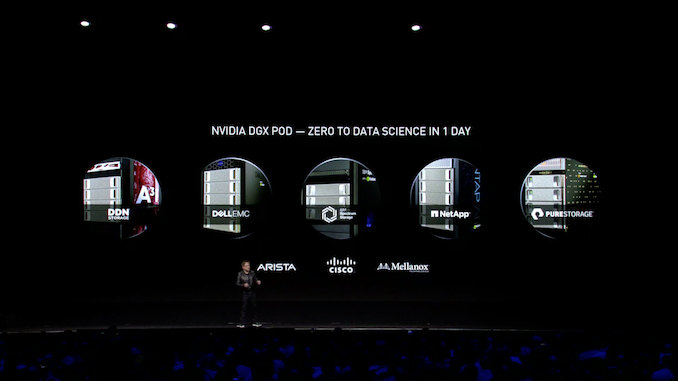 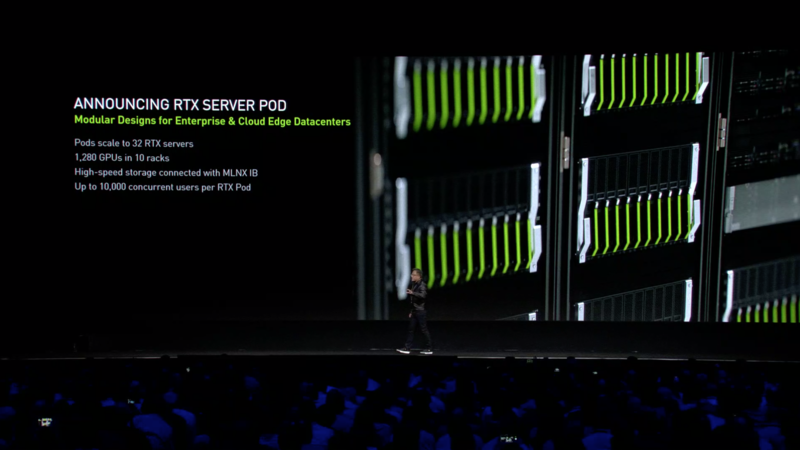 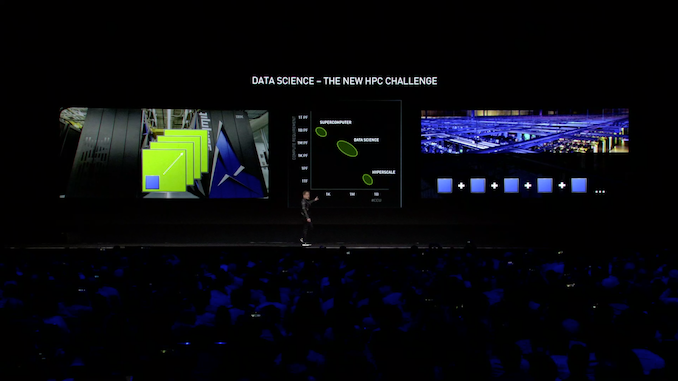 06:40PM EDT - "it would take days to do this by hand"
06:50PM EDT - Officially NVIDIA calls this a "Data Science Workstation"
06:51PM EDT - "Data science is the new HPC"
07:29PM EDT - "The future of autonomous systems has to be software-defined"
07:35PM EDT - "Mathematically verifiable"
The term "omniverse" is not new.